The following are our prices for the 2014-2015 season (valid until Aug 31, 2015). Please click on the various tabs below for details. Our lawyers are forcing us to mention that prices are subject to change at our sole discretion, blah blah blah. You know how it goes. The following are all our Havelock packages – you are welcome to mix and match them as you please. This is the ideal package for those who want to experience a mix of the Andamans lifestyle – the quiet beaches, the swaying palms, the general peace and quiet – but who also want to experience some of the magic that these azure waters hold. So we have put together a combination of activities that will give you a good mix of all the Andaman specialties that Havelock has to offer: quality time on the beach, a half-day intro to diving and a beach dinner to really make this a trip to remember. 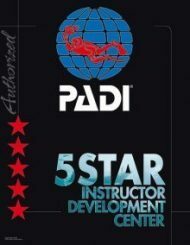 If you want, you can also upgrade to the SSI or PADI Scuba Diver certification course – this certifies you to dive up to 12m under professional supervision. You learn more about the underwater world, about diving theory and practice basic scuba and emergeny skills. This way, next time you are on holiday somewhere by the sea, you can go out diving with greater confidence and comfort. The Scuba Diver upgrade option includes further training, an additional dive (making a total of 2) and certification charges. Meals: ala carte meals are available at our restaurant, and you also have option to have breakfast, lunch & dinner included for an additional flat daily fee (see notes below the price list). There isn’t a significant price difference between choosing one option or the other. If you would like to check out the accommodation click here. A 5% service tax applies to the package, additional nights stay and additional diving. Meals are not taxable. Meals-included option is available at Rs 1000 per person per night. You can choose this when making your booking, or when here. Surcharge for the PADI course is Rs 2500; surcharge for the NAUI course is Rs 1500 per course. Not included in this package are beverages, tips, personal expenses and accommodation in Port Blair or surcharges for expedition trips (if applicable). Rates in packages are indicated PER PERSON. If you are not sure as to which agency best suits your needs, read this article on The Great Agency Debate (LINK TO Which agency is better – or, how to select an OW course IN LEARNING CENTRE). We can also discuss your options with you when you are here and help you decide, but take comfort in the fact that there really is no wrong decision here: all courses, under a good instructor, will teach you to dive competently and safely. Do note that even if you book the Advanced Add-on, you don’t have to commit to the Advanced course until you complete your Open Water. If you decide not to do the Advanced course, you only pay for the additional nights stay, that’s all. Rates in packages are indicated for SSI courses PER PERSON. Come see the diving that the Andamans have to offer – this package covers all the top dive sites of Havelock and Neil Island, and also leaves you with time to soak in the special charm that makes these islands so magical. You can also apply some of the dives in this package towards your Advanced certification – details given in the package options below the pricelist. Use some of the dives in the package to do your Advanced course – Rs 4,000 extra for SSI, Rs 5,700 extra for PADI and Rs 6,000 extra for NAUI.Peak season daily surcharge applies from December 15th – January 5th, inclusive.There is a 10% discount on the package if starting on or after June 1 and ending on or before September 15th.Not included in this package are beverages, tips, personal expenses and accommodation in Port Blair or surcharges for expedition trips (if applicable). Option B: 8 days/16 dives + 1 night dive + SSI Rescue Course (PADI and NAUI also available). If you are coming all this way, why not stay longer and really become a part of the easy-going life of the Andamans? Do some diving, explore the islands, hang out on the beach… it’s a tough life but someone has to live it! And while you are at it, why not combine the diving with some continuing education, and improve your dive skills as well? This package is for certified divers only. Meals-included option is available at Rs 1200 per person per night. You can choose this when making your booking, or when here. If you want, you can substitute either PADI or NAUI for Rs 1700/2000 extra, if you have chosen Diving Option 2 or 3. CPR/First Aid training (EFR) is not included in Option #3. You can complete this training at home through Red Cross, St John’s Ambulance or similar agency, if you prefer. You can also do it with us at a discounted price of Rs 6000 if combined with this package. Peak season daily surcharge applies from December 15th – January 5th, inclusive. [All rates are per person]/p>Traditionally, August & September have been termed the off-season in the Andamans. However, based on our experience over the past 4-5 years, this period actually offers some really special diving in terms of fish life and activity. Yes, it is true that there are occasional-to-frequent showers, but the seas are usually manageable and our dive sites tend to be accessible. Most importantly, the number of fish that can be seen increases dramatically during this period – we have seen schools of 30 manta rays go soaring by, been funnelled by over 300 barracudas, been surrounded by a swirling shoal of over 500 fusiliers and lot more. The past few years, the monsoons haven’t really hit us till July either. This means that June has become a de-facto extension of the peak season: sunny skies (although some clouds and brief tropical showers), warm water, high chance of mantas and overall, very good diving. As such, we have also extended this package to June/July as well – an additional discount applies during that period as well. The flip side, of course, is that early to mid August tends to be wetter than it used to. Weatherwise, conditions are variable. You can have a few days of very rough seas, in which case we will be diving close to shore. And then the weather can take a turn for the better, and give us flat calms seas with access to all our remote dive sites. Even in the peak of monsoons, we are still able to go out daily, though – so that is some consolation. And monsoon rains typically mean short, heavy showers, although occasionally (usually 2-3 times during this period), we get massive rain, the kind that lasts for hours and gives us a swimming pool on the premises. However, dont let the rain put you off – the islands are absolutely magical in the rain. The rains are warm, the water is warm and the casual tourists are not present, so you have miles and miles of beach all to yourself. And of course, there is diving. What else do you need? Of course, we cannot guarantee weather, which is why we have discounted the package quite significantly over our regular-season rates. And we have built-in some non-diving days for enjoying quality time on the beach or going out around the island with your camera before the tourist hordes arrive. Your choice of Free SSI Specialty OR 50% off Advanced or Rescue Diver course. PLEASE NOTE – While the restaurant is open at this time, we offer a limited menu at this time (2-3 pages, instead of the usual 7-8 page menu). This makes it hard for us to come with a meals-included price that is equitable for everyone (including us). As such, for this package, we recommend ala carte. Budget approx Rs 800-1000 or more per person per day for this. That being said, if you want meals-included, you’ll get meals-included, so let us know. – A 5% service tax applies to the package, additional nights stay and additional diving. Meals are not taxable if paid directly to the restaurant. – We recommend going ala carte at this time – however, the meals-included option is available at Rs 1200 per person per night. You can choose this when here – let the restaurant know. – Monsoon discount applies to packages starting on June 1 or later and ending by July 31. – Not included in this package are beverages, tips, personal expenses, accommodation in Port Blair and speedboat fees (if applicable). – This offer is valid for stay starting on or after June 1, and ending on or before September 15th.